easyBus passengers accompanied with a print-out of their ticket should board the Megabus service from their Pick-up or Drop-off locations. 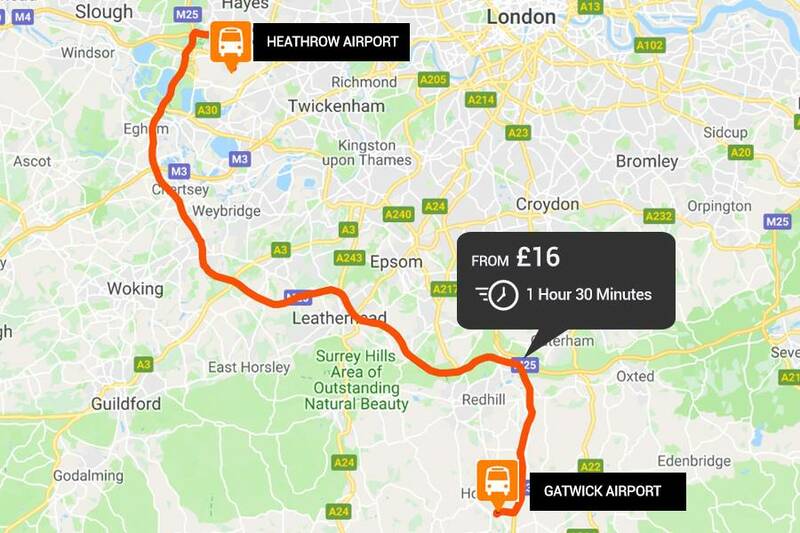 Please Note: The Gatwick Airport to Heathrow Airport bus transfer is operated by Megabus. Pick-up and Drop-off Location details can be found on your ticket.There is no ticket desk at Gatwick Airport, please go straight to the bus stop shown on your ticket. Coaches leave from the lower forecourt at the south terminal. Follow the signs from the terminal to the lower forecourt.